Clapton Pond Blog: Have You Seen This Cat? His name's Fluffy and he went missing on Christmas Eve. 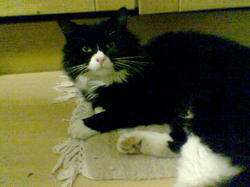 The owner lives in Redwald Road, E5, telephone number 078 151 09501. More here.